Ethpool has launched a new mining pool for EThereum (ETH) with a more standard PPLNS mode for payment as with the increase of network hashrate and difficulty the payment method used by the original Ethpool is not very favourable for smaller miners. 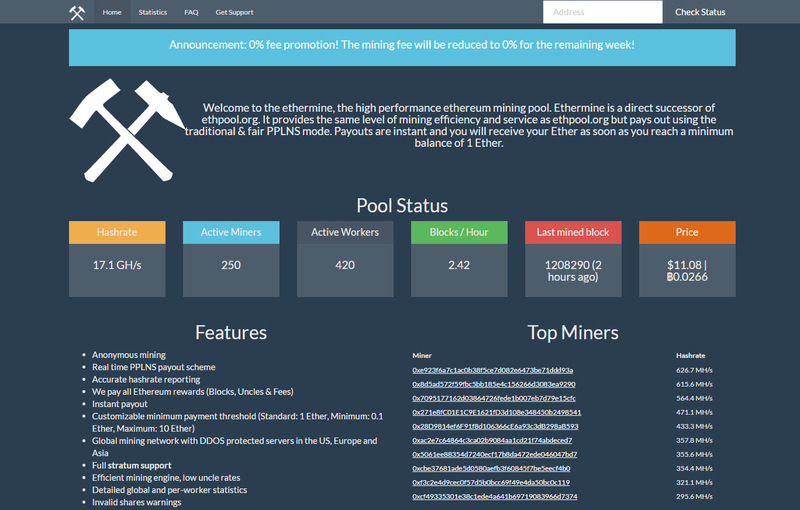 Ethermine is a direct successor of Ethpool. It provides the same level of mining efficiency and service as Ethpool, but pays out using the traditional and fair PPLNS mode. Payouts are instant and you will receive your Ether coins as soon as you reach a minimum balance of 1 ETH. 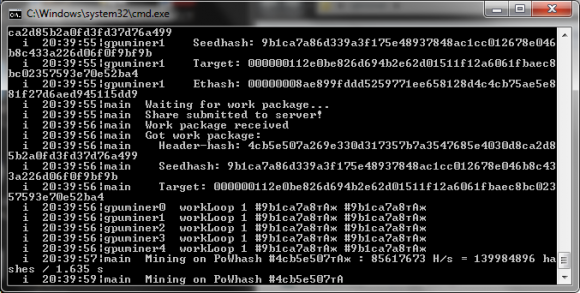 The new pool supports Stratum mode using Stratum Proxy v0.0.5 by dwarfpool, Stratum mode using QtMiner and the more traditional Getwork mode using ethminer. The mining fee will is now reduced to 0% for the remaining week in order to make the new pool more attractive for users to switch to it, so you might want to give it a try.